You are very welcome to our website. We are both accomplished and highly qualified Traditional Irish Musicians and singers based in West Clare, Ireland. We have a strong belief that our music is only on loan to us and it is our "duty" to pass it on and share it with as many people as possible. Are you interested in learning Irish Traditional Music from real live working successful Musicians? Click here for more information. For more information, check out our "About us" page. You can check out our releases in our discography section. Are you looking for musicians/singers or tutors for a pending music festival or event? See our We play for... page. Keep up to date with where we are performing on our gigs page or follow our blog on RSS. Gerry began playing Irish Traditional Music when he was 13 years old in and around Miltown Malbay and Ennistymon in West Clare, Ireland, the capital of Irish Traditional Music. He is well known as an accomplished fiddle player and singer and has played both locally and internationally. For more information on please follow this link. Joe Collins in Lackagh National School. She went on to study for a Degree in Ethnomusicology in Queens University Belfast. As part of her studies she was based in Chicago Illinois USA and was well known in Irish Musical circles there. Claire also studied classical piano to the Senior Certificate Level. Claire is also a renowned singer/songwriter. Gerry began playing Irish Traditional Music when he was 13. His first teachers were Gus Tierney of the Kilfanora Ceili Band, Michael Kelleher and Paddy Hegarty from St. Michaels Ceili Band. Gerry is a proficient fiddle player having played in sessions around Ireland for over 30 years and has a most impressive repertoire of Irish Traditional tunes. Both Claire and Gerry have a great love for their music and play in a style recognised as North Clare with subtle East Galway influences. They play in a very "traditional" mode with great respect for the music which has been handed down to them and a strong belief that it is our "duty" to pass it along in its pure form as a "dance music". 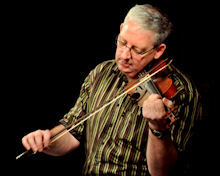 Gerry has played with many bands over the years including the North Clare group "Ceolteoiri Na Boirne" and for a time with the renowned Michael Sexton Ceili Band. Gerry and Claire are currently part of the line up of Ceili Swing Ceili Band, who are an emerging force in the Set dancing Scene. They both also play with The Lackagh Ceili Band from Co Galway who reached the All Ireland Senior Ceili Band competition in 2010. Here is a clip of The Lackagh Céilí Band playing “The Ballyoran Hornpipe” at Fleadh Cheoil na hÉireann 2010 in Cavan. For the last 10 years he has played mainly as part of a duo with his wife Claire Watts. For more information on current projects Claire and Gerry are working on Click Here. 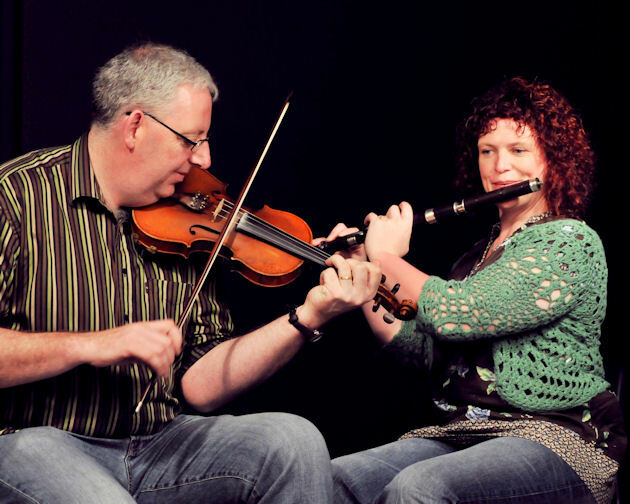 Both Gerry and Claire have successfully completed the Masters in Irish Traditional Music Performance (Honours) awarded by the University of Limerick. 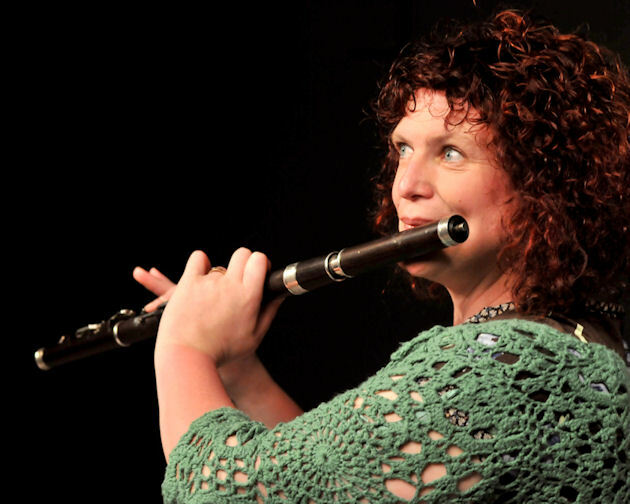 Claire is a talented musician and is proficient on timber flute, tin whistle, fiddle, guitar and has studied classical piano to the Senior Certificate Level. Claire was a member of the All Ireland winning Lackagh Ceili band in 1984 And is currently part of the lineup of the Lackagh Senior Ceili Band who reached the All Ireland Senior Ceili Band competition in 2010. Here is a clip of The Lackagh Céilí Band playing “The Ballyoran Hornpipe” at Fleadh Cheoil na hÉireann 2010 in Cavan. Both Claire and Gerry are tutoring at the 2012 Bath Folk Festival. They will also be performing at a number of venues in and around Bath during the festival. Keep and eye on our gigs page for more information. Both Claire and Gerry successfully have completed the Masters in Irish Traditional Music Performance (Honours) awarded by the University of Limerick. Do you have an interest in learning Irish Traditional Music? Gerry and Claire offer Irish Music Tuition online. This uses the innovation of current media to allow people far removed from an Irish Music teacher learn at their own pace. All classes are bespoke, designed with the learning outcomes of the individual student in mind. We use pre- recorded music lessons, (video and/or audio) live online collaboration via "Skype", E-mail and written supportive material. If you have an interest, contact us via E-mail by clicking here. 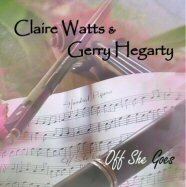 Gerry & Claire have performed all over Ireland, England, Italy and Switzerland. And of course we are well known on the music session scene in Miltown Malbay and the surrounding towns where we play on a regular basis in Lynch's (Friels) Hillary's, The Westbridge, The Blonde's and The Central to name but a few. Since November 2010 our performances have been curtailed somewhat following the arrival of our little one, but we plan to return to full time performance over the coming years. For our current and pending gigs click here. Last August we were both guest tutors at the third Bath Folk Festival. This was a very successful week where we met with some wonderful people. This was our third year tutoring at this intimitate festival. with our good friends Ray O Leary and Eric Faithful. Here we are playing that wonderful tune, The Concertina Reel. Thats us in the centre. Gerry has been ill for the last while and has not been performing as much as usual. This situation will improve soon we hope. - August 12th - 16th 2013. Claire is a Guest tutor for the Bath Folk Festival. Bath Somerset. A Nashville style, acoustic evening of original songs featuring our special guest Claire Watts from Ireland, with Ali George, Sue Harding and Jennifer Crook. Relax in the intimate setting of The Old Kitchen Shop whilst these 4 singer songwriters share their songs. Watch this space for more info. We specialise in performing together to a listening audience. This has to be our favorite type of "gig". We love to share our songs and music which defines us as Irish. We have a vast and varied repertoire to suit any audience. We have both been playing in Pubs since we were very young and have lots of experience entertaining the crowd as they enjoy their night out. Have you a wedding pending? Ever considered having some lovely Irish Traditional Music to compliment your special day? Some lively reels after the wedding vows perhaps? We love playing for weddings. The joy of being part of someone's special day. Why not have some Irish Traditional Music and song to entertain your wedding guests as they have a drink while waiting for the wedding breakfast? We specialise in playing/singing at the hotel/reception as the happy couple and their guests await the wedding breakfast. Believe it or not we have done a few of these too! Although it is more common for families to have music at the grave side for a loved one, especially if they were lovers of Irish Music. We have a specialised programme for all of the above events which is constantly evolving in scope and content. We are also open to include material by request. If you would like to join our mailing list, please complete the form below. We will then be able to keep you up to date on what we are up to. Appearing here are the 3 most recent entries in our blog . click here or on any of the Blog headings below. Hi all, sorry for the lack of update but I have been unwell for a while. However Claire is busy busy busy… She is in studio at the moment recording an amazing CD of some wonderful new songs. Its going to be great so stay tuned for more info. We have made 2 recordings to date. 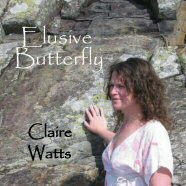 Our first endeavour was a CD titled "Elusive Butterfly"
There are 13 tracks on this CD all composed by Claire, for example the exciting "Drama on the Dance floor", the mournful "Cry to Recall". And the beautiful love song "Will You be the One" co-written with Gerry. It been proven to be very popular since its release. If you wish to purchase one of our CD's Please see our "CD Store" page. There are 2 songs here, Claire sings the wonderful song, "Mantles of Green". While Gerry sings that lovely Sean McCarthy song, "Shanagolden"
All the remaining tracks are Traditional Irish Tunes. There are two reels here written by Claire, "Granny's Cottage" and "Knockliscrane Cross". Other Reels such as "Banish Misfortune" and "Out in the Ocean" also appear, alongside Jigs such as "Off She Goes" and "Daniel O Connell". A Few set dances and a slow air. And of course, more Reels and Jigs. Willie Clancy Summer School. Its that time of the year again almost. Willie Week takes place this year 2012, commencing on the first Saturday in July. And as usual Claire and Gerry will be hosting an open session in the Central Hostel on Main Street from 2pm to 5 PM each day. A wonderful afternoon of music is guaranteed with beginners to seasoned veterans taking part. Bath Folk Festival. This festival is taking place again this year from August 13th to August 19th in Bath Somerset, U.K. Claire will be tutoring on Concert Flute and Gerry will again be tutoring on the Fiddle. Lackagh Ceili Band. Gerry and Claire are proud to be members of The Lackagh Ceili Band who have qualified for the Connacht Fleadh by Winning Senior Ceili Band Competition at the Galway County Fleadh in Clifden in May 2012. In 2010 this Ceili Band reached the All Ireland Final of the competition in Cavan. CCE. Claire is currently Branch Secretary of the Laichtín Naofa (Miltown Malbay) branch of Comhaltas Ceoltóirí Éireann. An exciting time for the branch as they have been awarded the Clare County Fleadh for 2012. With the pedigree of Miltown Malbay as the "home" of Irish Traditional Music this promises to be a wonderful Fleadh. Check back often for updates. Embrace. In 2002 the Arts Office of Clare County Council introduced the Arts and Disability Project as a pilot project, available to all organisations working specifically with disabled people throughout the county. Claire is proud to be associated with the Embrace project working with various groups throughout the county. Visit Miltown Malbay That wonderful town on the west coast of Ireland. The "Home of Irish Traditional Music"
Stephen Roden A Wonderful Painter and print maker based in Cheshire, U.K.
Kate Lucas Amazing Soft Furnishings. Based near Bath, Somerset. Ronan O Reilly Artist An up and coming artist from east Clare. Arts Office of Clare County Council Supporting the Arts in County Clare. Please leave a comment in the form below. Gerry & Claire would love to hear from you. Name and Emil are required.